Dorchester’s famous Wellworths may have had to change its name to Wellchester at Shop Direct’s behest, but a store in the Herefordshire town of Ledbury is still evoking the memory of Woolworths in both name and visual identity. 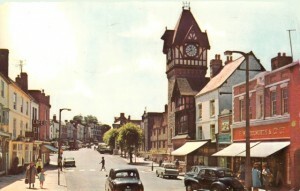 Ledbury’s Woolworths (store #696) opened at 6-8 The Homend on 9 July 1937, and went on to serve the historic market town – famous for its timber-framed buildings – for more than 70 years until the chain’s 2008 collapse. 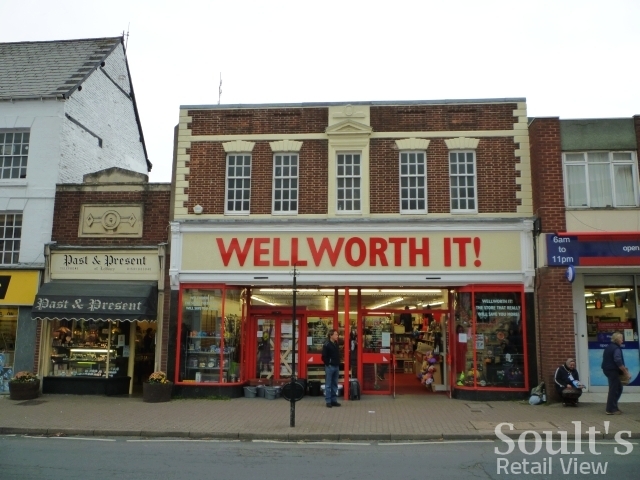 Its replacement, Wellworth It!, opened in March last year, and – like any good ‘son of Woolies’ store – stocks a familiar and well-priced mix of homewares, garden tools, cleaning products, stationery, greetings cards, toys and the like. What’s most interesting about the store, however, is its branding. 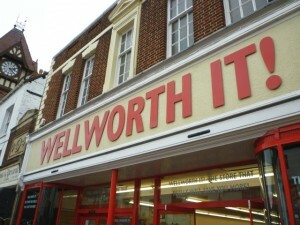 Where previous attempts to reinvent the Woolies formula have played on the name but not the imagery – be it the blue and orange of Claire Robertson’s Wellworths, the purple of the now-defunct Alworths chain, or the black and yellow of the short-lived Well Worth It (no relation) in Wallsend – Wellworth It!’s red frontage is unashamedly ‘inspired’ by that of Woolworths. 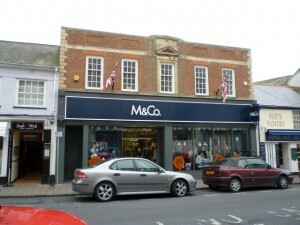 Indeed, the fascia even uses the old Woolies font (below). Fortunately, Shop Direct has adopted a slightly different logo (above) since reinventing Woolworths online, as Woolworths.co.uk, in 2009; otherwise, you suspect that the home shopping giant would have had something to say about happenings in Ledbury. With the Woolworths connection so apparent in the store’s current frontage, it’s fitting that the building itself is hard to mistake for anything else. 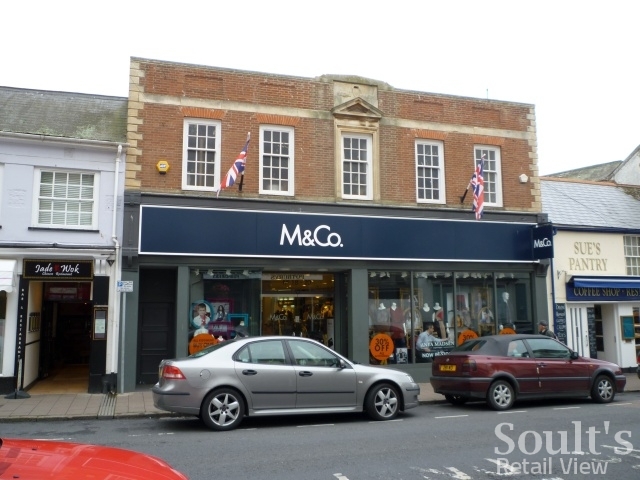 Though the property features the five-bayed symmetrical frontage that typifies Woolworths’ stores of the period, the architectural detail – including the addition of quoins (decorative cornerstones) and window pediments – is a little more ornate than usual. 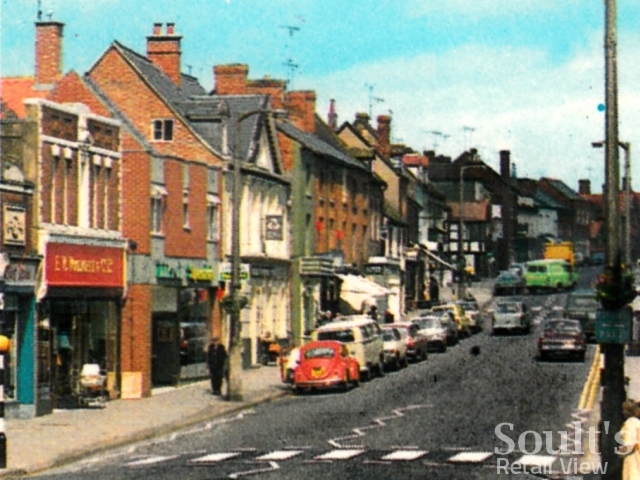 Indeed, the design is almost identical to that of Sidmouth, below (#729): opened about a year after Ledbury, and a store that I visited last month but have yet to blog about. At Sidmouth, the pediment of the central window extends above the parapet, giving the frontage a sense of being properly finished off. 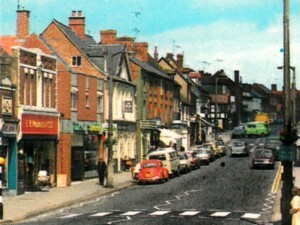 A similar feature is visible at Ledbury, too, in the c1970s postcards below, but must at some point subsequently have been levelled off when the parapet was replaced. A minor niggle, perhaps, but something that studying architecture at university for six years makes hard not to notice! 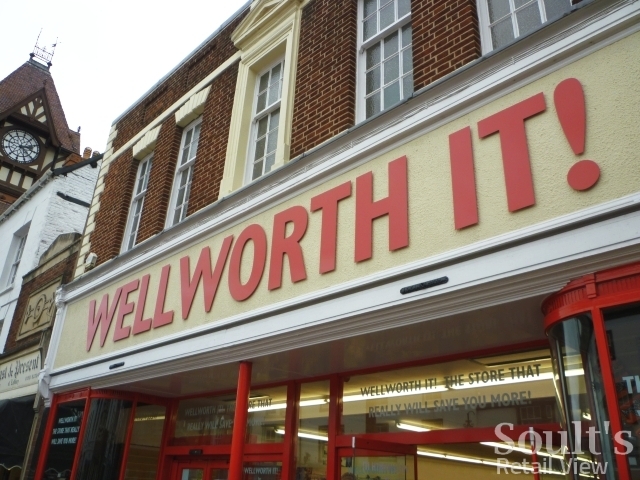 Once inside Wellworth It!, however, the store feels surprisingly unlike a former Woolworths, and has much more of the character of an independent hardware store, rather like Proper Job on Clevedon’s old Woolies site (#992). The carpet throughout gives a different feel to the traditional Woolworths wooden floor – which is still in place at Wellchester and many of the other taken-over stores – while the storeroom and warehouse at the rear of the shop has been transformed into additional selling space. When I visited, garden furniture seemed to be giving way to Christmas ranges. On the downside, I’d like Wellworth It! to do something about the ‘unwelcoming signs’ that are, as I noted last year, so rightly frowned upon by The Retail Doctor, Bob Phibbs. Everywhere I went in the store, I felt like I was being told off – ‘do not open the packaging’, ‘all breakages must be paid for’, or occasionally both messages at the same time. Perhaps most bizarrely, the ramp leading down to the former stockroom area had a large notice along the lines of ‘this ramp is strictly for use by wheelchairs only’; woe betide any mother with a pushchair that tried to use it instead. 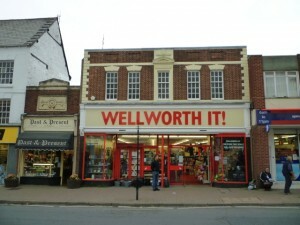 In a small town like Ledbury, there’s no doubt that Wellworth It! performs a valuable role in selling a bit of everything, and ensuring that the local community doesn’t have to travel out of town for everyday items. However, if Wellworth It! is to evoke the warmth and personality of the old Woolies brand – and not just the visual imagery – then it could do worse than toning down the negative messaging.